The one consistent throughout the Tampa Bay Lightning’s history is their affinity for having star forwards on their roster. Over the course of 25 years, the franchise built themselves around the philosophy of score first and score often, sometimes at the expense of the other positions on the ice. Even when the team was going through hard times, they still managed to produce some of the best scoring talents in the NHL. This creates a deep list of forwards, many of whom you could argue should be on the list of the Lightning’s all-time greats. While these players will forever have a spot at the heart of the franchise, it takes a certain caliber of player to crack the Lightning’s top three all-time forwards. There are too many great forwards in Lightning history to just have one honorable mention, so here is a quick rundown of some best forwards to grace the ice in Tampa. Starting off is Brian Bradley, the first star forward for the Lightning after he was taken in the expansion draft in 1992. During that first season, he would post 86 points, a scoring record that would stand with the team for close to a decade. Next is Brad Richards, who was the scoring catalyst of the Lightning’s Stanley Cup victory in 2004. His play garnered him the Conn Smyth trophy as the top player in the 2004 postseason and if he had been with the team longer than six years, he could have easily been the top forward in franchise history. Another important member of that Stanley Cup victory was then Captain Dave Andreychuk, who, despite only being with the team for a few seasons, brought an invaluable amount of leadership and experience to a Lightning squad sorely lacking in both. Without his presence on the team, there’s no telling if they would have been able to put it all together in 2004. You also can’t have a list of all-time Lightning greats and not include Ruslan Fedotenko, who scored the Stanley Cup winning goal in Game 7 in 2004. He was a playoff monster for the team that year, scoring 12 goals in route to the Stanley Cup. Current star forwards includes Nikita Kucherov, Tyler Johnson, and Ondrej Palat who have been dominant fixtures in the Lightning’s line-up for the better part of five seasons. All three of these forwards have been carving out a niche with the team, and depending on their future production, could make a strong case as an all-time great by the end of their careers. When Steven Stamkos was drafted first overall in 2008, the Lightning had great expectations for the teenage phenom. He was supposed to be more than just a player for the team, but a face for the future. Ten years later, Stamkos has turned into arguably the Lightning’s best case scenario; having established himself as not just the face of the franchise, but one of the most recognizable players in Tampa Bay sports. Even without this legacy, Stamkos’ career stands on its own merits. Not only does he own the Lightning’s single-season goal scoring record after posting 60 goals in the 2011-12 season, he is also a five-time all-star and has won the Rocket Richard trophy twice in his career. If not for recent struggles with injury, Stamkos could have easily become the most dominant player in Lightning history. Even with those injuries, though, he still has etched his name into the pantheon of all-time greats. His time with the team is also far from complete, so he has plenty of games left to add to his legacy. Should he play out the entirety of his eight-year contract, he could slowly become the top player in franchise history. 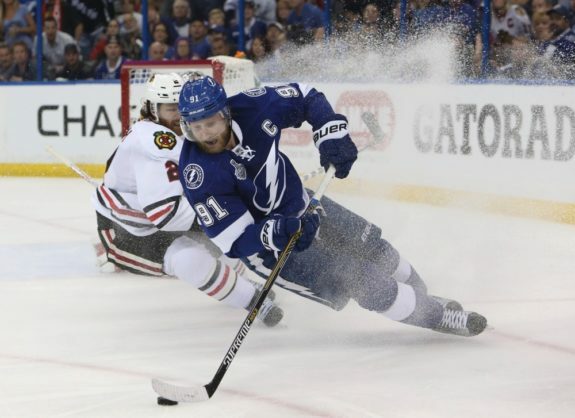 As they struggled to establish themselves in the years after the expansion draft, the Lightning were desperate to find a player that they could build a successful franchise around. In 1998, they believed that they found this player when they drafted Vincent Lecavalier first overall and set to work developing him into the future of the team. After a relatively slow start to his career, Lecavalier had a breakout season in 2002-03 and never looked back. In 2006-07, he would have the highest scoring season in Lightning history, posting 108 points in route to scoring a then-franchise high 52 goals and winning the Rocket Richard trophy. In 14 years with the team, Lecavalier would score 874 points and play in over 1000 games, both staggering numbers from the former Lightning captain. There is a reason why the Lightning retired Lecavalier’s jersey during the 2017-18 season. He was more than a player for the franchise. 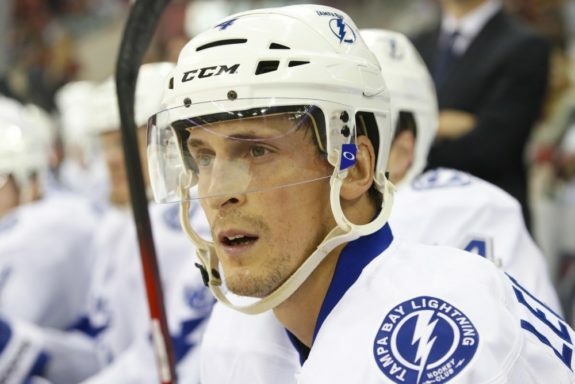 His name is synonymous with hockey throughout Tampa, and when people think about the history of the Lightning, they ultimately think about the Lecavalier years. Without his influence and star-power, there’s no telling if the fledgling franchise could have survived its’ earliest years. If you only look at total scoring and productivity, Martin St. Louis is the unquestionable king of the Lightning. St. Louis produced four of the teams’ top 10 scoring years, posting as many as 102 points in the 2006-07 season. 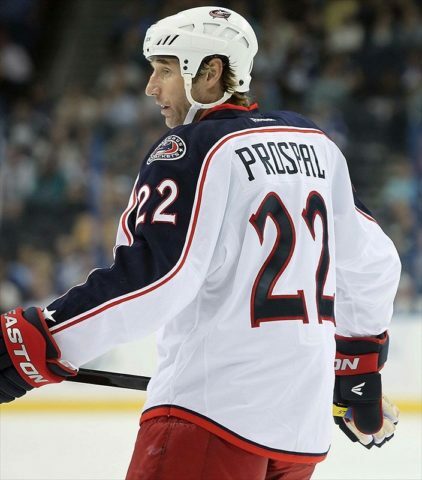 He is also the most decorated player in franchise history, winning the Art Ross Trophy, Lester B. Pearson Award and the Hart Memorial Trophy in 2004, along with five All-Star Game nomination. Besides being a scoring phenomenon for the Lightning, St. Louis was the ultimate competitor. He fought for and earned every second of ice-time throughout his career, with his incredible work ethic helping to carry the franchise forward. Even as they struggled with ownership changes and a carousel of new coaches, St. Louis acted as a playmaking foundation for the team. If not for his untimely exit in 2014, there would be no question as to St. Louis’ greatness with the Lightning. Even with that one blemish with the team, the Lightning should only have fond memories of their undersized forward. He gave his all every night of his career, and his number 26 being the first retired by the franchise is proof of this dedication to Tampa Bay.